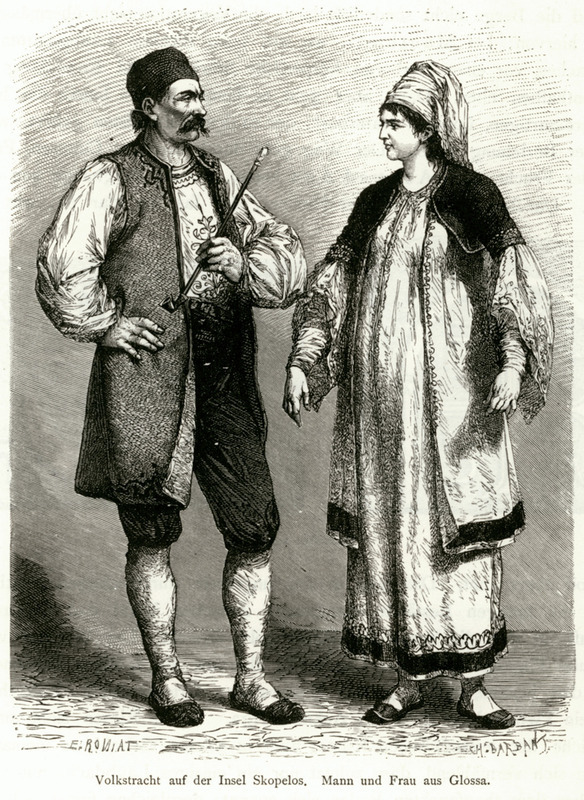 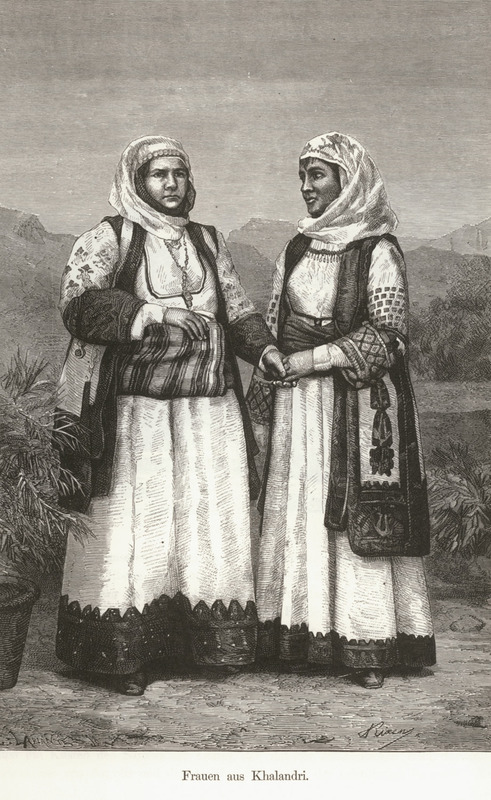 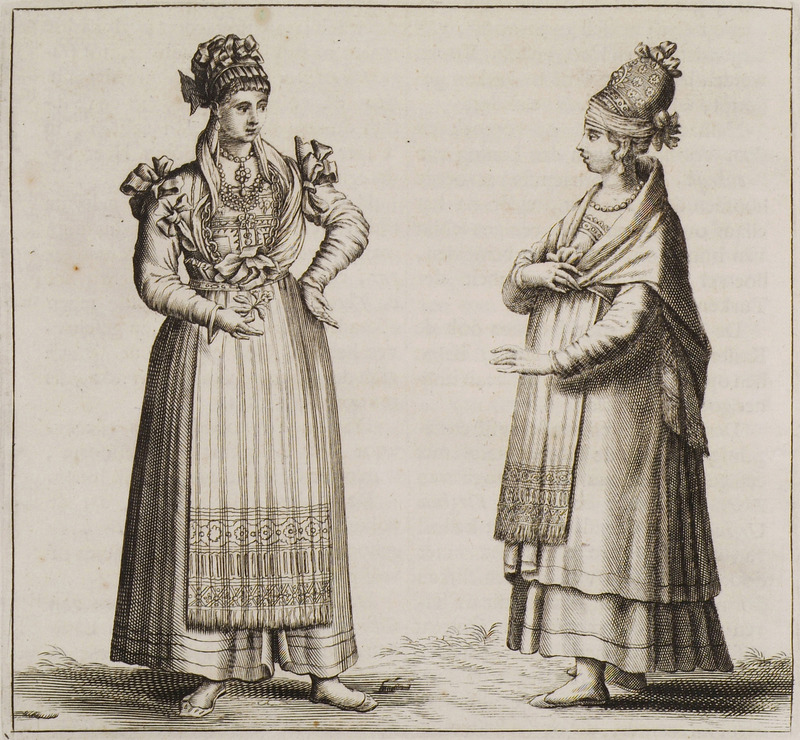 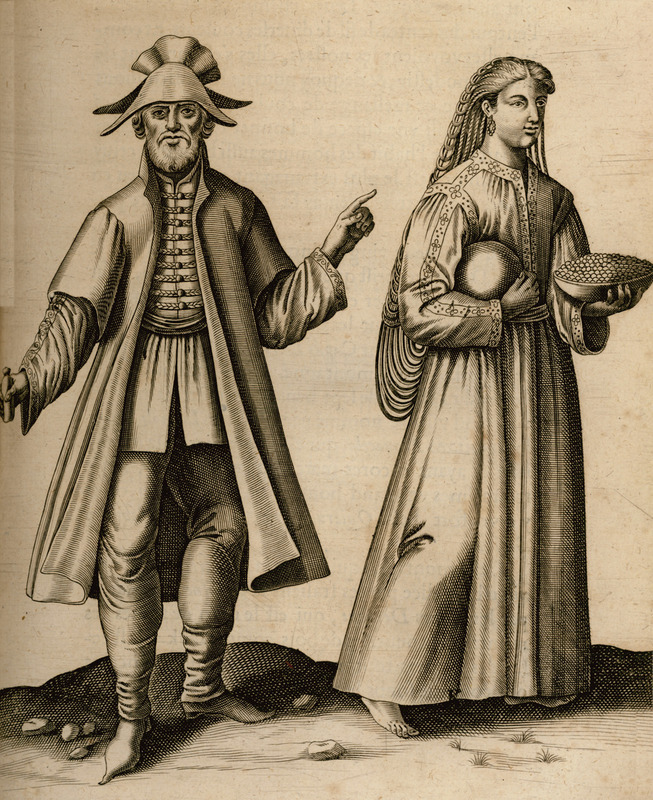 Man and woman in traditional costumes of Skopelos. 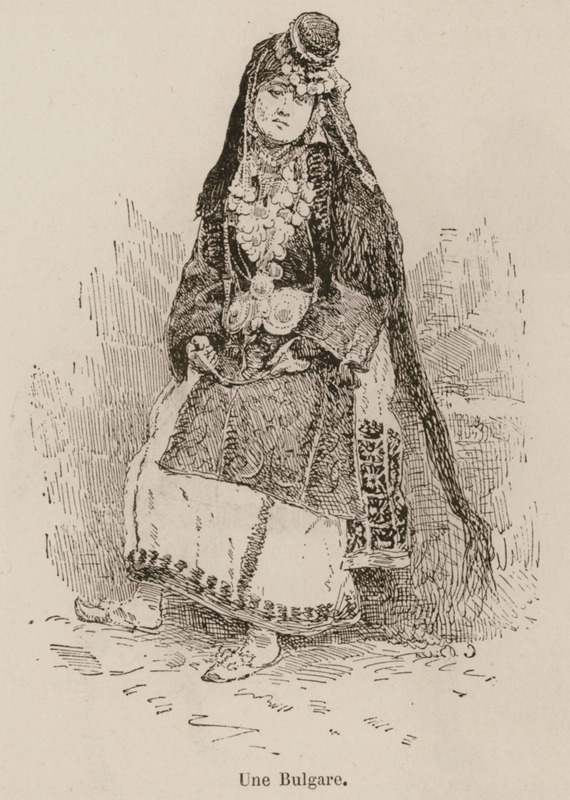 Woman from Turkey in Arab costume. 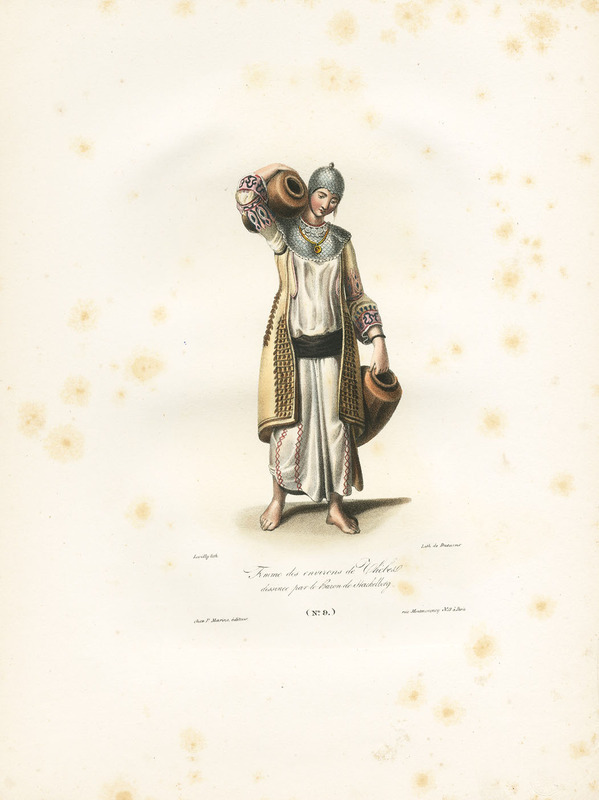 Woman from Turkey on her way to the public baths (hamam). 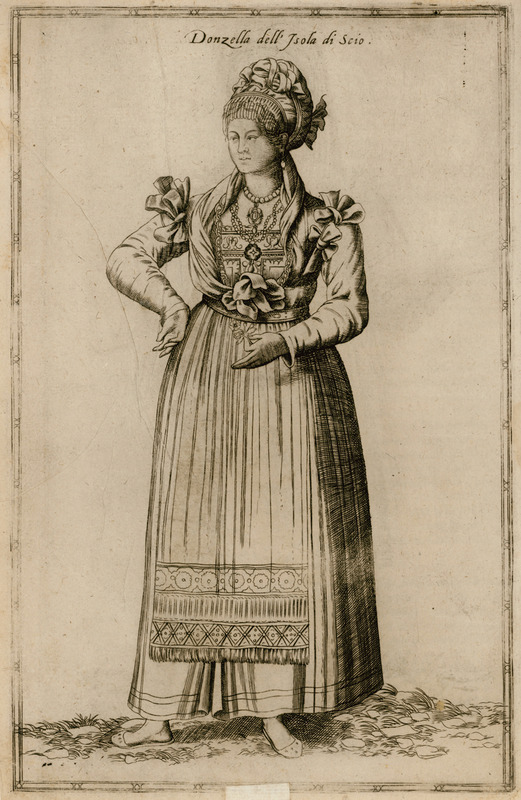 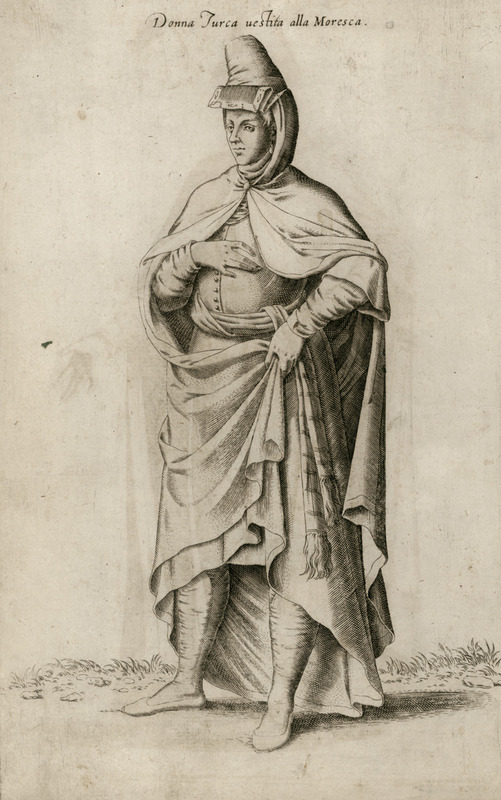 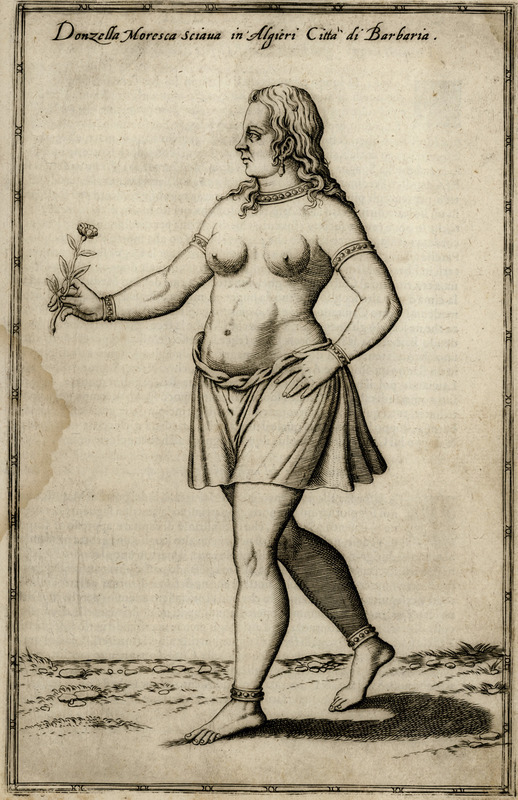 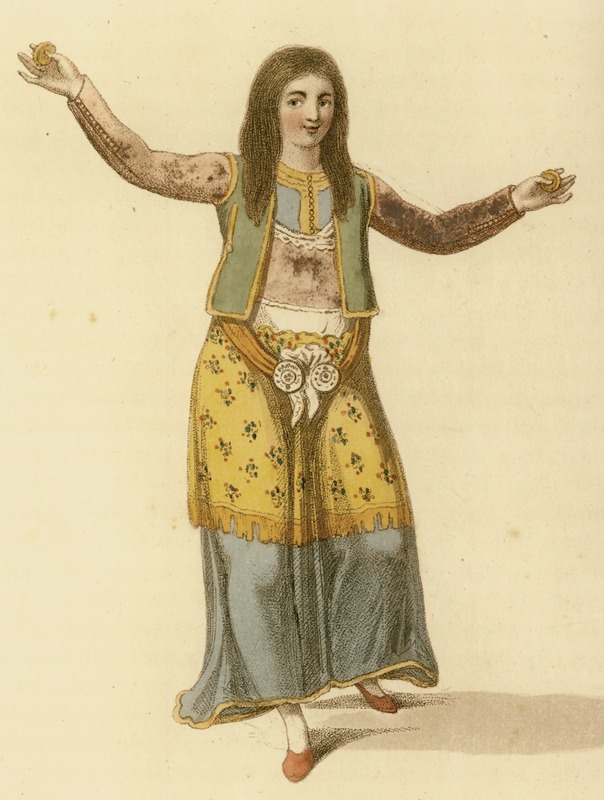 Woman from Turkey in her outdoors costume. 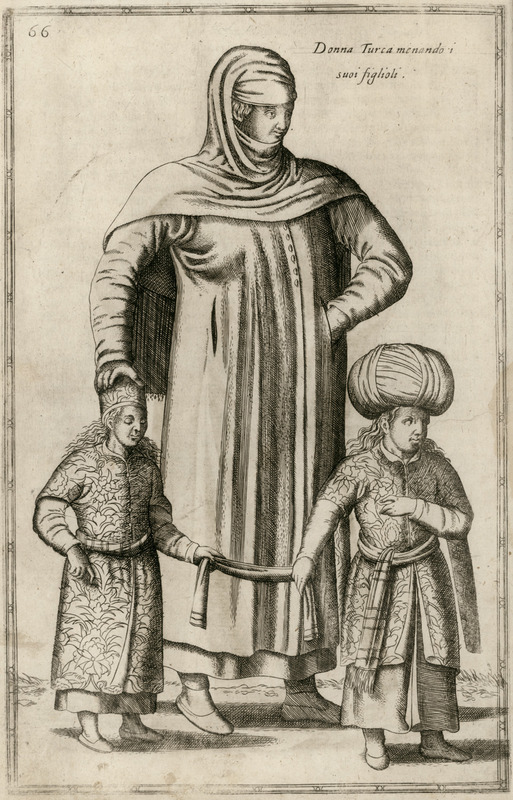 Woman from Turkey with her children. 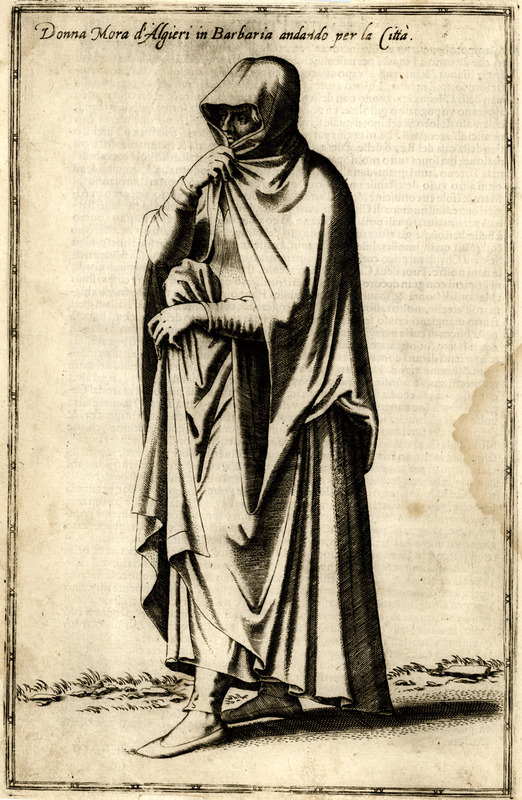 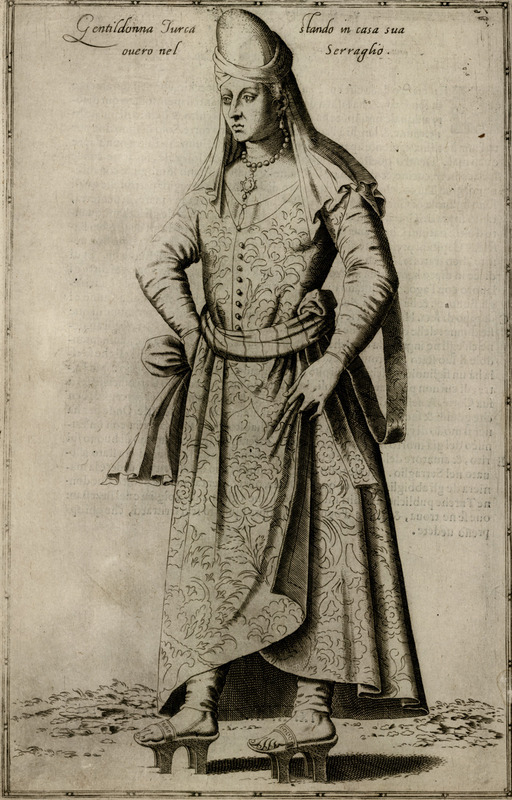 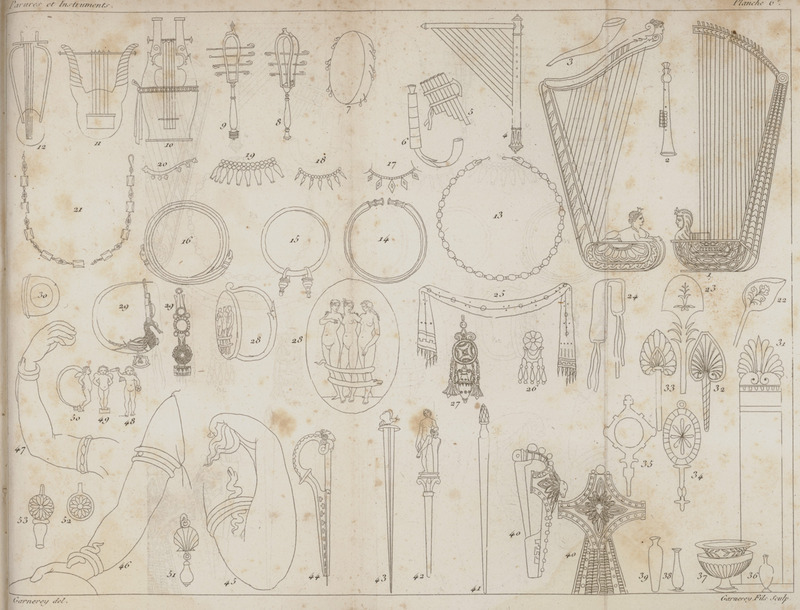 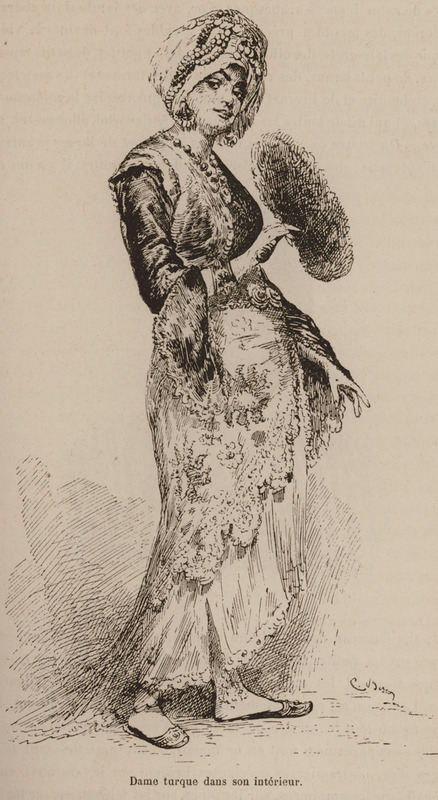 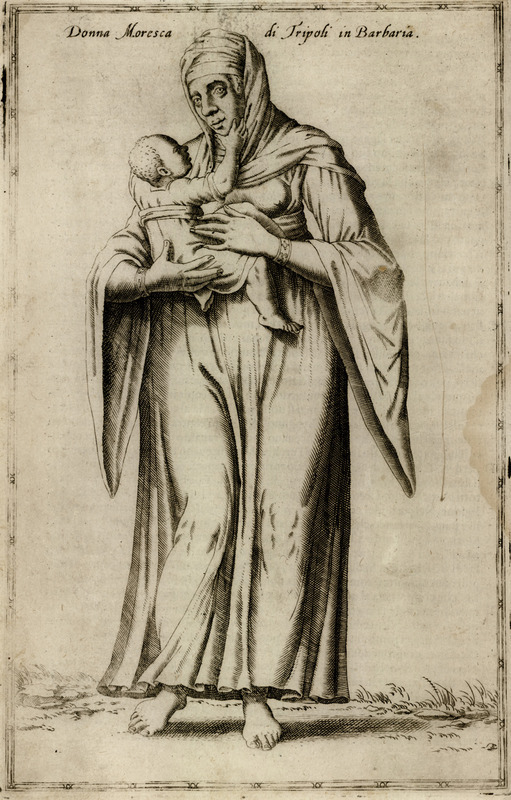 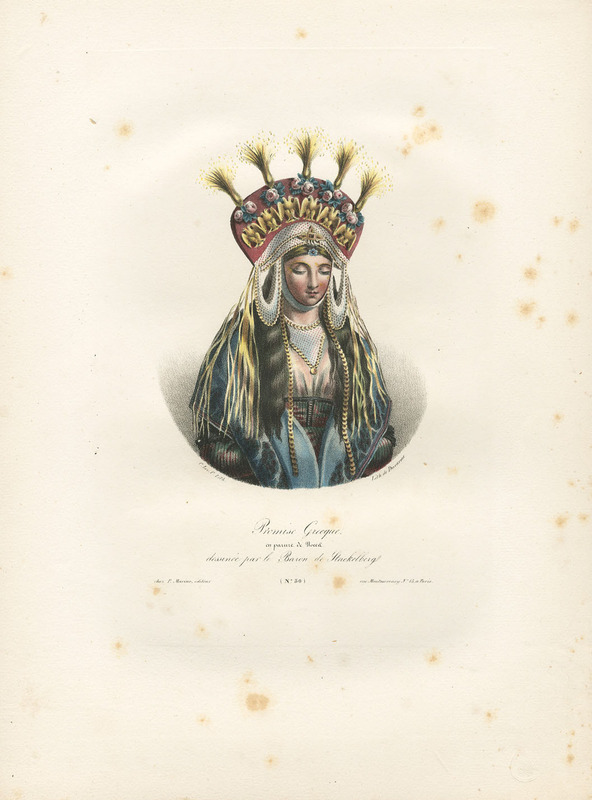 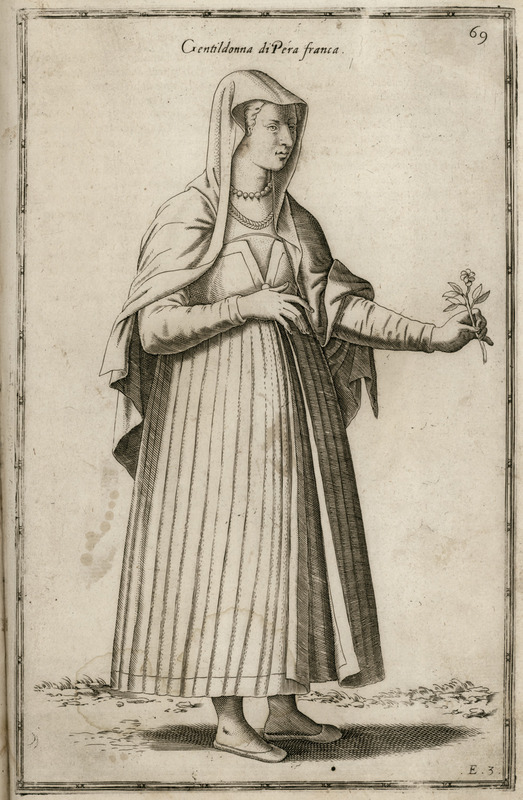 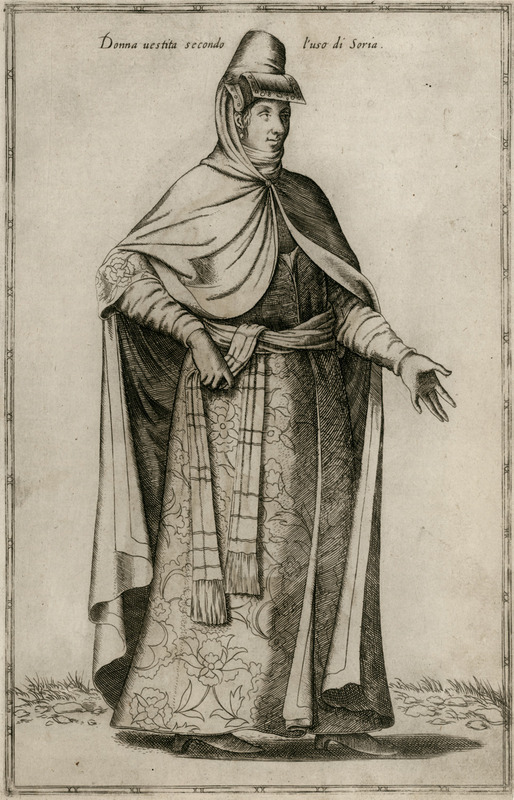 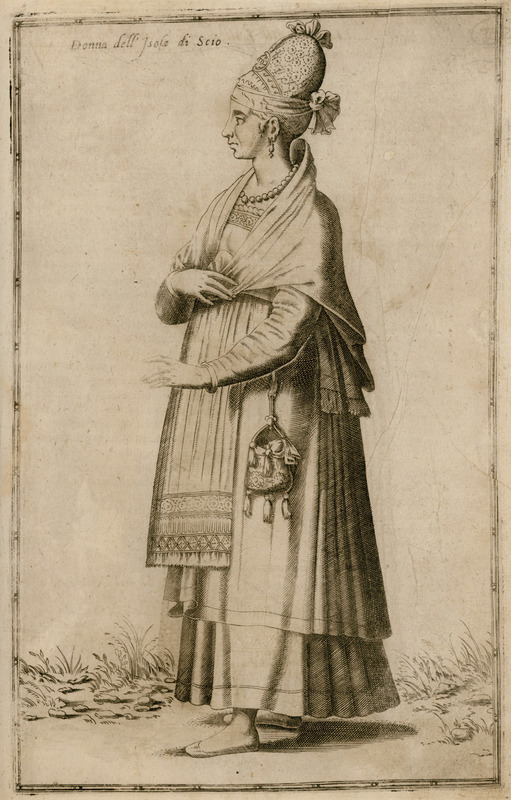 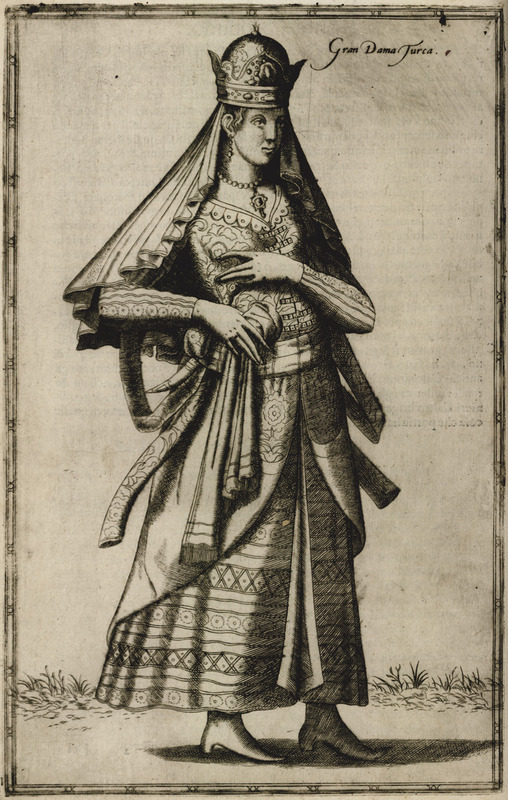 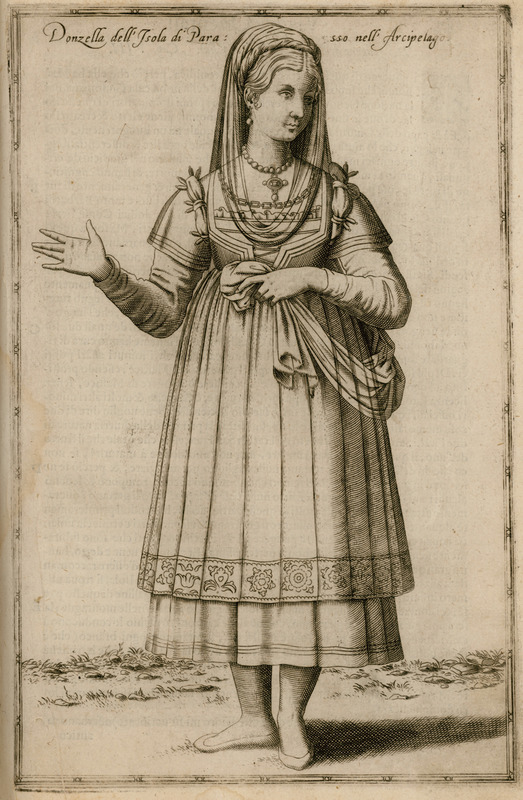 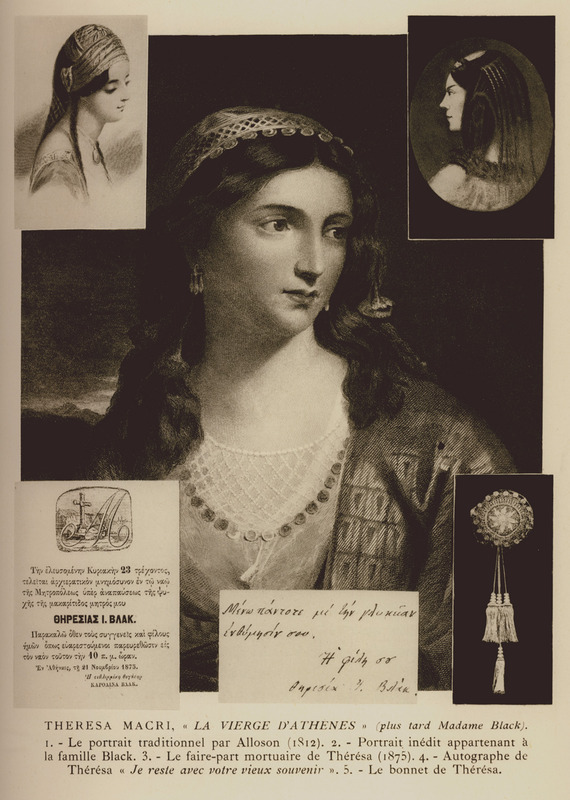 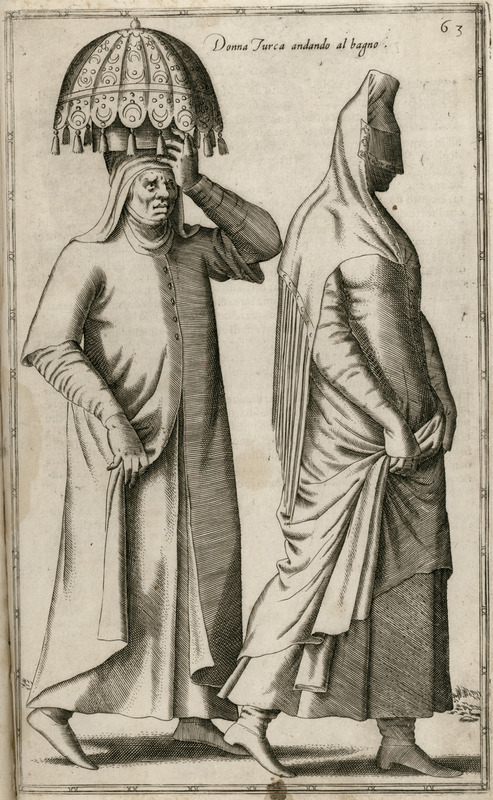 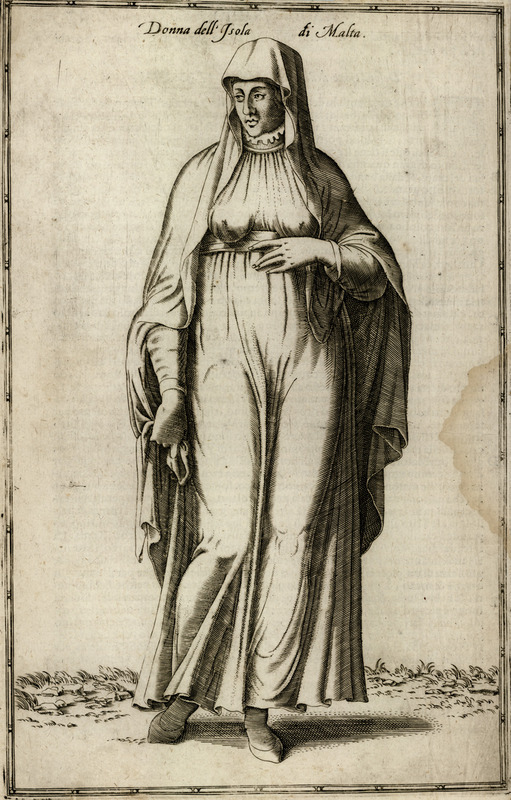 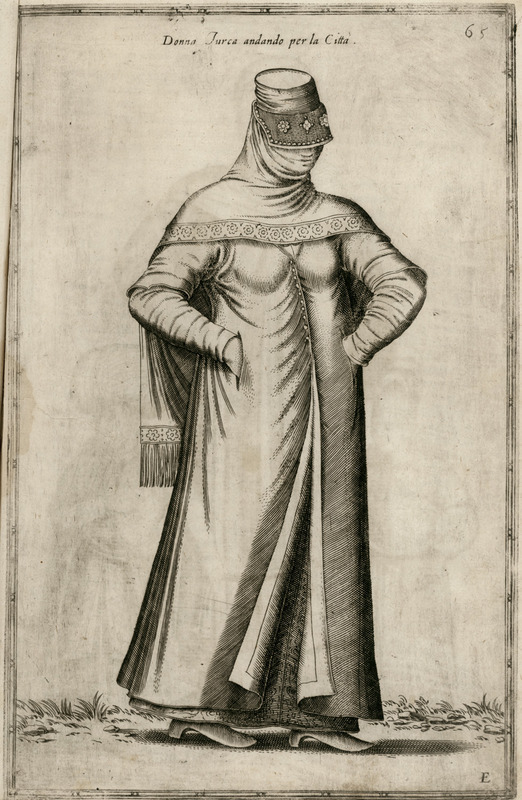 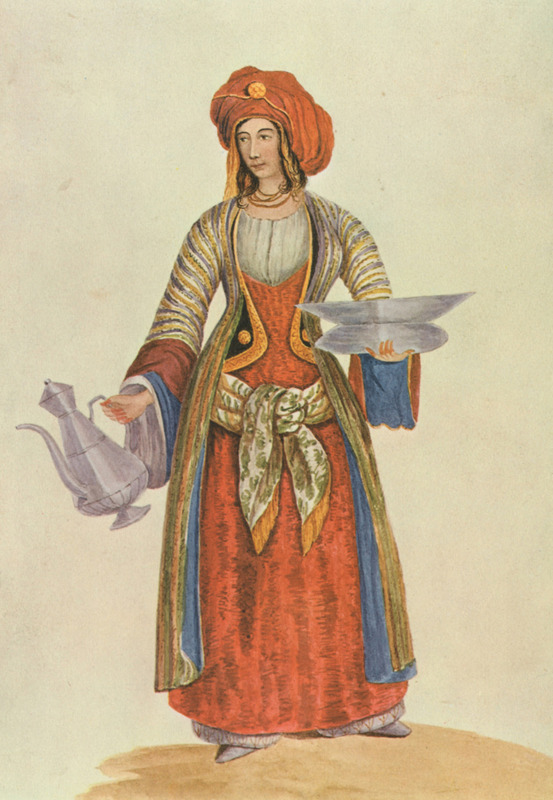 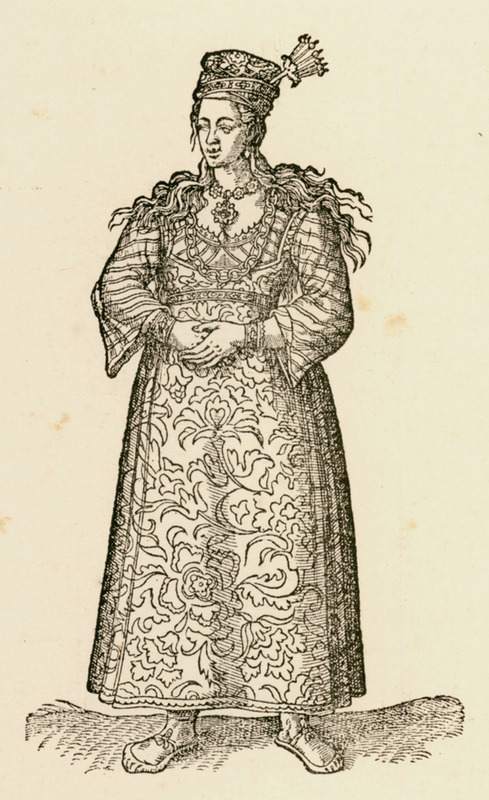 Francolevantine noblewoman from Pera, Istanbul.